Check out the top selling fashion eyeglasses offered by Elton Optics in Las Vegas, Nevada. Look great wherever you go, or find the perfect pair to wear for whatever adventure you want to take. Rest assured your eyes will be well taken care of with the innovative lens technology in our wide range of fishing, glider pilots, safety, and sports sunglasses. Our best-selling pair of sunglasses, Wraptors are prescription sunglasses available in polarized or non-polarized high definition lenses. You'll love our many choices of frame designs with or without prescription. Imagine how cool you'll look as you cast your line while wearing our top-of-the-line shades, which are ideal for fishing. Regardless of where you wear this lens, you'll always be protected. 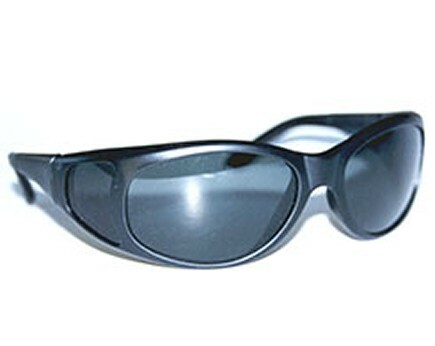 We offer the polarized lens that absorbs all UVA and UVB rays and blue light. Your eyes will thank you. If you are looking for fashionable glasses at an affordable price, try on our WileyX sunglasses. Available at a price 50% cheaper than other stores, we offer a range of designs for various activities. 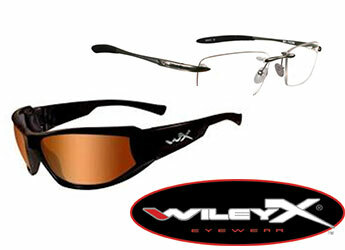 The changeable lenses allow you to utilize our WileyX sunglasses as safety glasses at work and for all kinds of sports. Whether you need prescription sunglasses or not, our WileyX Eyeglasses are incredibly affordable and totally fashionable. Pick your favorite frame and make a statement with your new eyewear. Shatterproof polycarbonate lenses in a Wayfarer frame, these sunglasses are great for pilots. Their innovative technology eliminates the glare at high altitudes and improves safety by allowing comfortable scanning for oncoming aircraft. See clearly and stay safe while sporting our frames.